More footage of the visual novel strategy RPG. 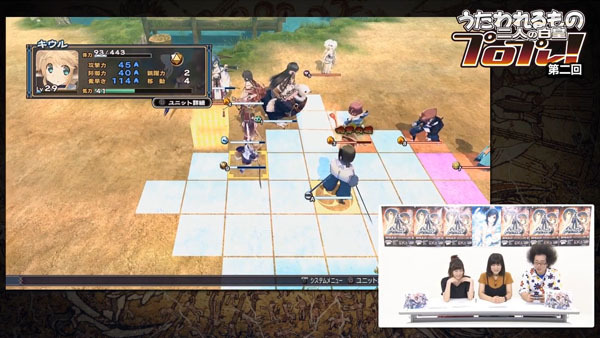 Aquaplus has released the second parts in its series of lengthy Utawarerumono: The Two Hakuoros gameplay videos featuring Anju voice actress Chinatsu Akasaki, Nekone voice actress Inori Minase, and Oshutoru voice actor Kentarou Tone. If you missed it, catch the first part here. Utawarerumono: The Two Hakuoros is due out for PlayStation 4, PlayStation 3, and PS Vita in Japan on September 21. A demo is due out tomorrow, September 8.